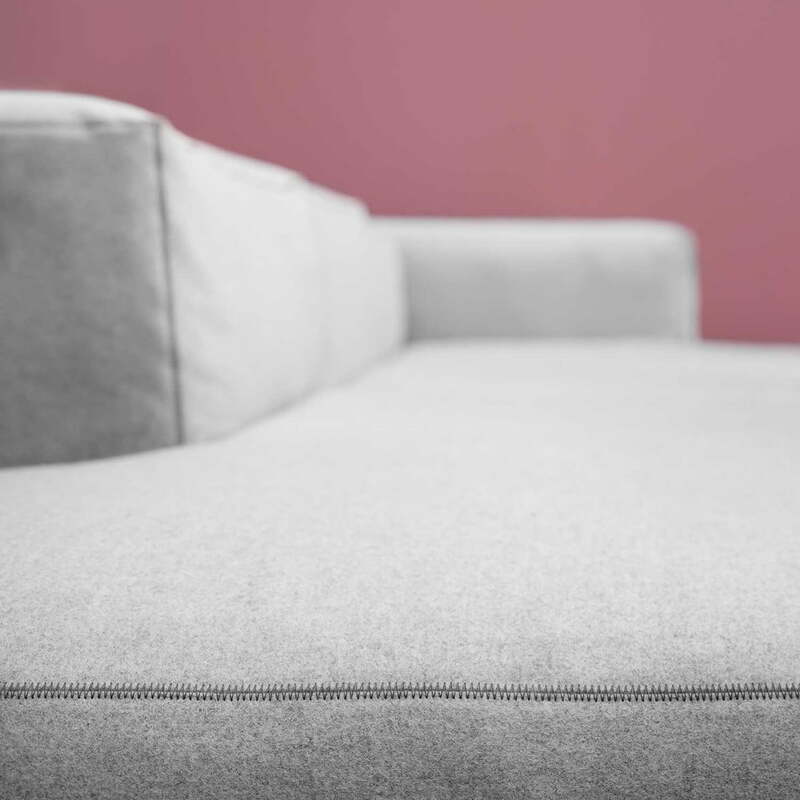 Everything that makes a good sofa can't be seen - the suspension, the stability of the foam and the durability of the cover. Hay Studio has placed great emphasis on all these elements in the development of the Mags sofa series. 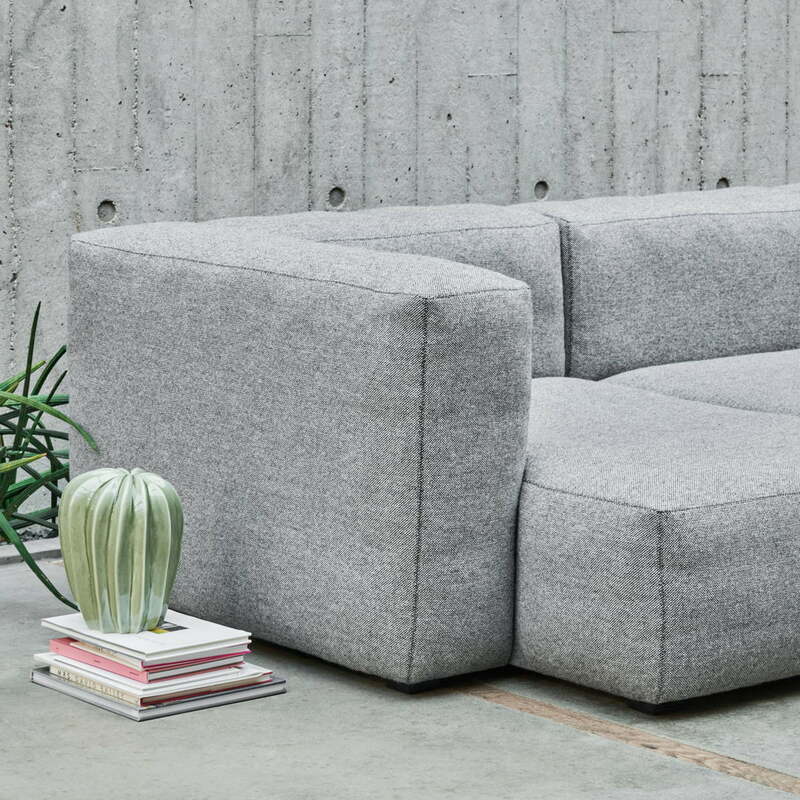 The Soft Sofa - a new version of the Mags Sofa - features even more comfortable cushions. The new Soft version is less strict and simply more comfortable, with the usual reduced look and high-quality leather and upholstery cover. 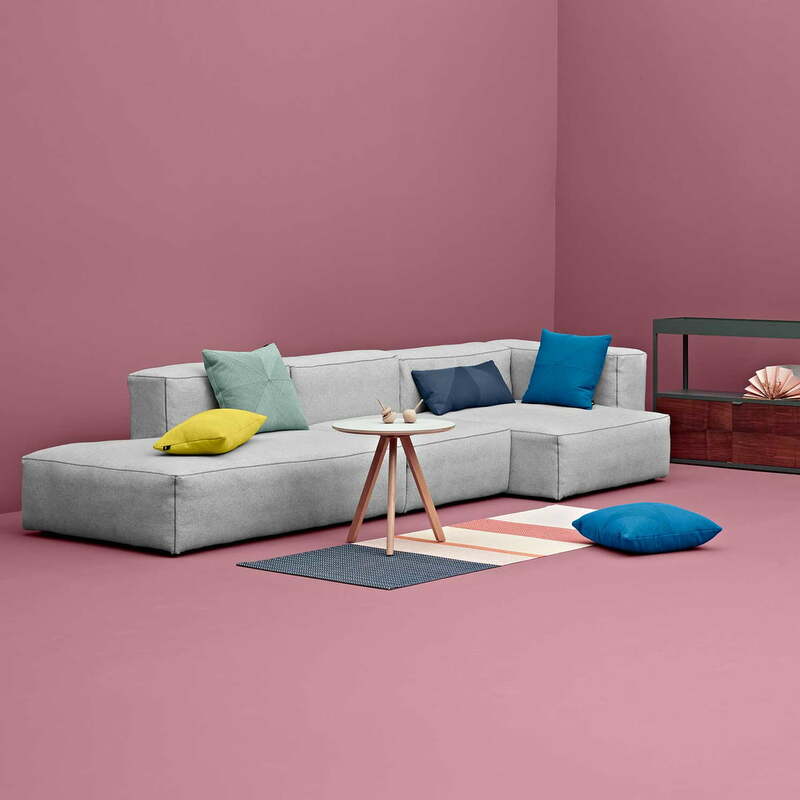 The compact design - without loose upholstery or seat cushions - makes the Mags Sofa an adaptable upholstered furniture that can be individually configured with a wide variety of modules. The Hay Mags 2-seater consists of two modules. However, with its corner and chaise longue modules, it is possible for anyone to design their very own sofa. Not only are the modules freely selectable, but you can also choose between different Kvadrat fabrics, a leather cover and decorative seams in different colours. The Mags Soft sofa in Divina Melange 120 blends in perfectly with any ambience. So it can simply stand in the room or be set in scene with decorative articles. The Hay Mags Soft Sofa in Divina Melange 120 can be beautifully decorated with small details and thus designed according to your own ideas and wishes. The Mags Soft Sofa in Divina Melange 1 20. The detail view shows the special decorative seams that speak for the high quality and make the sofa interesting. 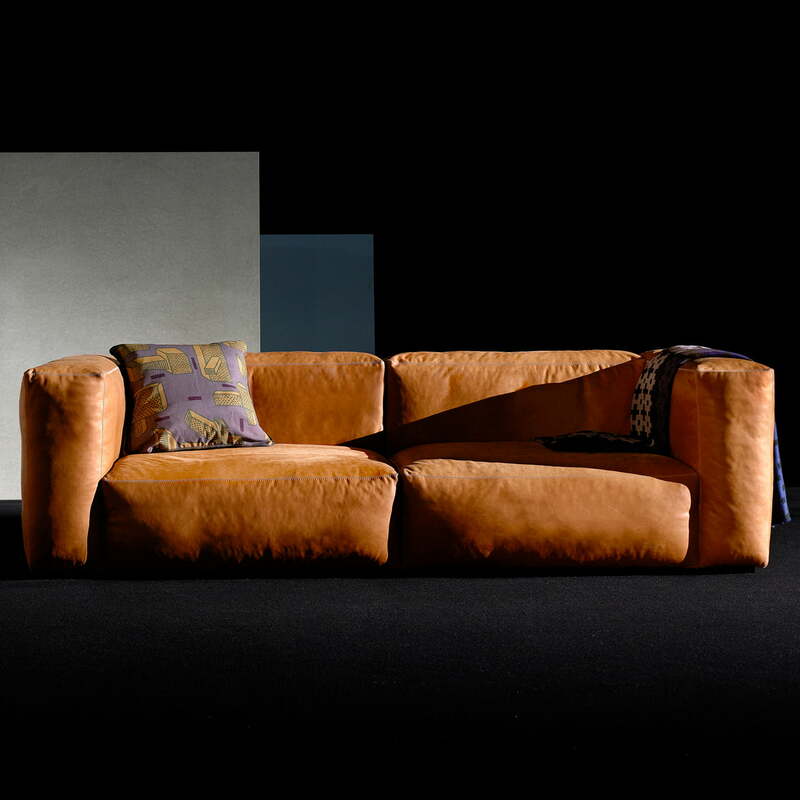 The Hay Mags Soft Sofa made of leather in the colour cognac presents itself in the usual reduced look and a high-quality leather cover that enhances your home. 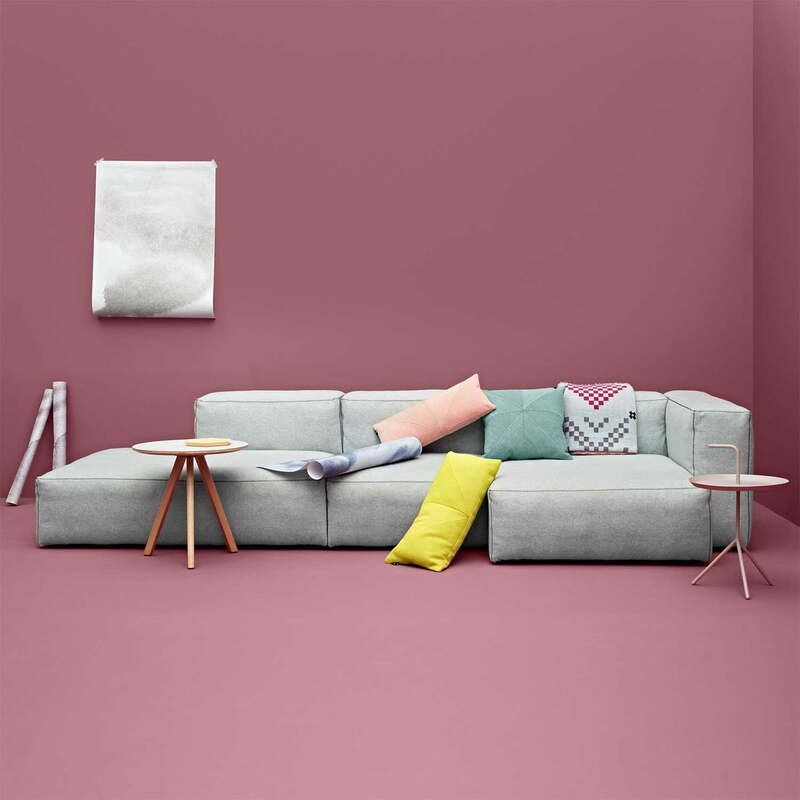 Lifestyle product image of the Mags Soft Sofa 3 seater with cactus. Eye-catching accessories will add character to any setting and fill simply furnished rooms with life.